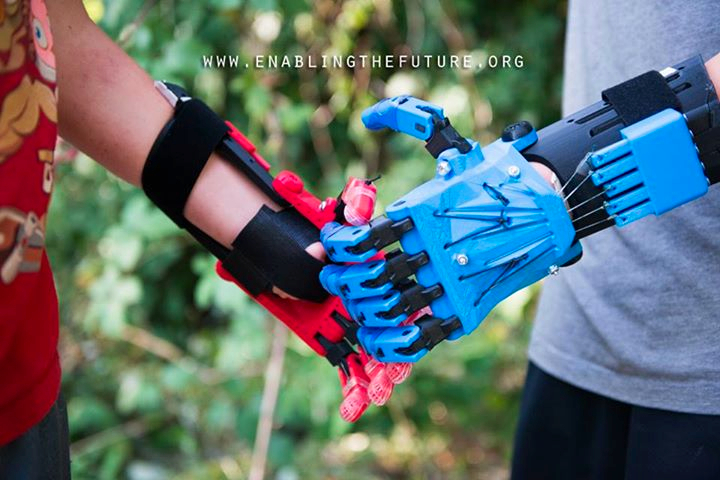 The e-NABLE Community Crowdsources Printing of “Light Show Hand!” for Upcoming Sept 28th Conference @ Johns Hopkins #maketheworld #3DPrinting #3DThursday « Adafruit Industries – Makers, hackers, artists, designers and engineers! 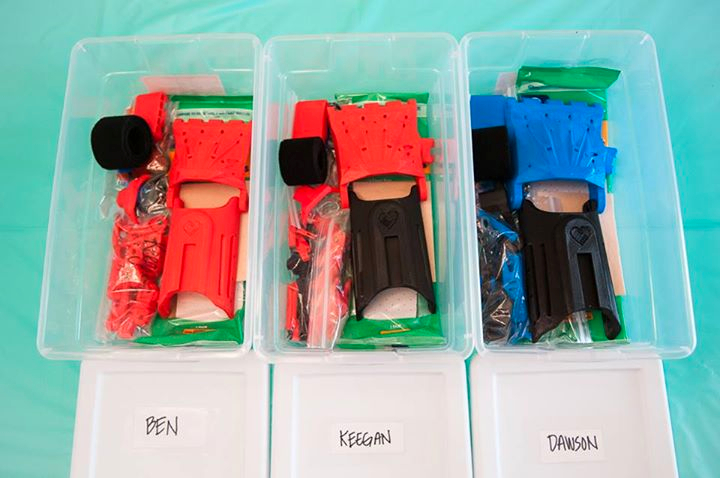 In preparation for the upcoming conference “Prosthetists Meet Printers” e-NABLE Conference at Johns Hopkins Hospital on September 28th, the e-NABLE community are joining together to print a series of “Light Show Hand!” prosthetics. They are already (as of Wednesday) about half way done, and they could use more help! Read more about the project on the e-NABLINGtheFuture.org website. If you have a 3D Printer, sign up to chip in. Also, checkout the lifestream of printing below to watch the action! Physical Design – Modifications on the palm with two little add on designs (Iron Man Arc Light and the e-NABLE heart hand shake logo), extra designs to put the components for the color sensor and battery holder, an extra hole on each finger and four extra holes on the palm were created, which allows each RGB with 4 wires to go in each finger and the palm. Two Adruino programs that run RGB LED lights in two ways. Electronics – Photoresistor, RGB LED Lights, resistors, a button, a switch, two Attiny85 parts and four button cell batteries.